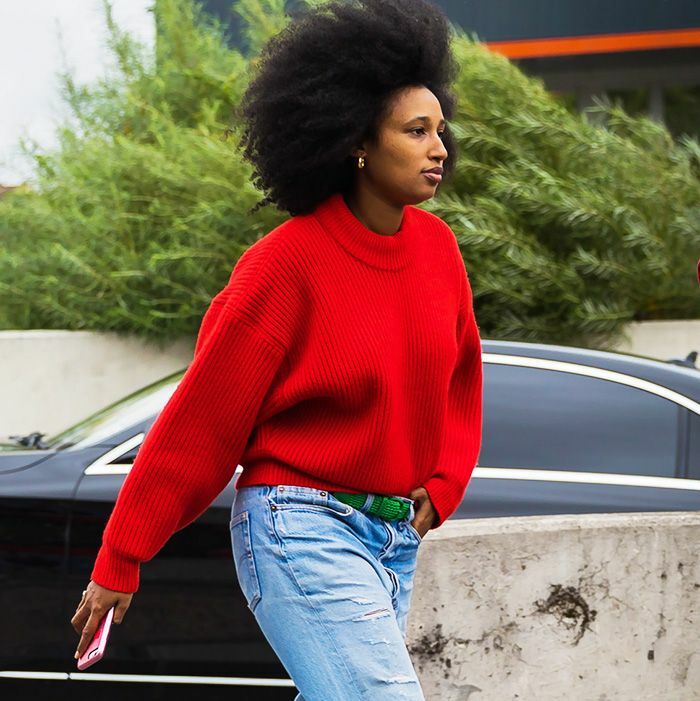 Sweater season is finally in full swing, which means that Pinterest users are taking to the site to figure out which trends to invest in and how to style them. Many Pinterest users already have a clear idea of the trend they want to explore when visiting the site, and they just gave us the inside scoop on the sweater trend that's blowing up right now: pom-pom sweaters. In fact, compared to last year, Pinterest saves for the fun style are up by more than 787%. Recently, pom-poms have become increasingly popular with accessories, especially. Pom-poms on bags, hats, and even sneakers are a common sight these days, so it only makes sense that the cozy, whimsical detail would infiltrate the knitwear category. Want to add one to your collection? Explore Pinterest's fall fashion 2017 board for more inspiration, and read on to shop our pom-pom sweater picks. Zara is on board with the trend, naturally. Want to really go for it? Invest in this cozy option with oversize pom-poms. Understated enough for the office. Pair this subtle option with black skinny jeans. Winter white is always a good idea. Next, shop our favorite stylish sweaters for under $150.